The 500 pieces photo puzzle is the right variant for those, who already discovered the fun of puzzling, but are afraid that the 1000 pieces jigsaw puzzle is out of their league. 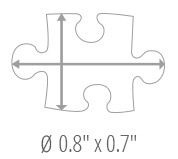 This size of puzzle is determined to put your most beautiful photographic treasures to stage. Long rainy days or cold winter nights will pass in no time, but also in summer, it is a pleasure to take your customized puzzle to a shaded place in your garden or on the balcony. 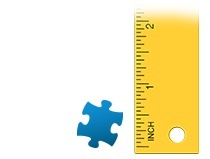 The amount of pieces of the 500 pieces photo puzzle is reasonable, the level of difficulty is medium. It is well suitable for those who do not want to wait too long for a sense of achievement. Interesting is that even puzzle professionals appreciate this 500 pieces puzzle as a welcome variation between their larger puzzle projects, so to say to not get out of practice. 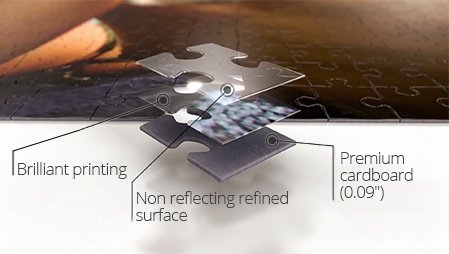 The small surface of the 500 pieces photo puzzle with 18.9" x 14.3" makes it very easy to glue and fix the jigsaw in order to put it up - for this personal jigsaw there will always be a suitable place, even in the smallest apartment. The 500 pieces photo puzzle is quite handy and might even be completed just like that on the coffee table.